"I could feel my chin falling toward my chest, my back hunching forward. My body was acting on its own, and my mind was empty, like all my memories had been erased. There was scenery behind my lids. Aqua-colored water and powdery sand that extended for miles. I was never going back to coke. I wanted more heroin. And I wanted it now." Leaving behind a nightmarish college experience, Nicole and her friend, Eric, escape their home of Bangor, Maine to start a new life in Boston. 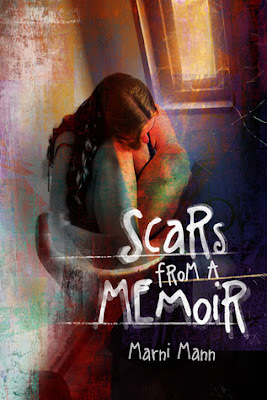 Fragile and scared, Nicole desperately seeks a new beginning to help erase her past. But there is something besides freedom waiting for her in the shadows—a drug that will make every day a nightmare. With one taste, the love that once flowed through Nicole's veins turns into cravings. Tracks mark the passing of time, and heroin's grip gets tighter. It holds her hand through deaths and prostitution, but her addiction keeps her in the darkness. When her family tries to strike a match to help light her way, Nicole must choose between a life she can hardly remember, or a love for heroin she'll never forget. "I could make up a story to cover the last eight years, but the scars on my arms told the truth. So did the ones on my ankles, the skin between my toes, even the veins that had burst on my breasts. Did my battle wounds really prove I was a survivor? Or was I too damaged to be glued back together?" Nicole had only one skyline to remind her of the freedom she'd lost—a tattoo of inked buildings, crisscrossed by scars. Heroin had owned her, replaced everyone and everything she'd once loved. The past was supposed to be behind her…but it wasn’t. Two men love her; one fills a void, and the other gives her hope of a future. Will love find a way to help her sing a lullaby to addiction, or will her scars be her final good-bye? This was a duet that I needed to review straightaway, I just feel that if I get my thoughts and emotions down while I am still coming to terms with what I have just read it will have more of an emotional impact. 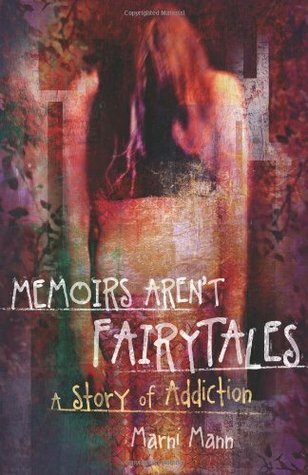 These books seriously touched me, having never been around drugs or even having an inclination to try any I have never fully understood the novelty or the pull that these chemicals have on the addicts that so easily become consumed by them. But the thing about these two books is that it not only draws attention to the addict, but also the effects that addiction has on family, friends and strangers. This is definitely no fairy tale, this is the story of a woman’s desperate decline into the pits of hell and I lived and breathed it, warts and all. What starts out as the recreational use of weed soon turns into other more “heavy” drugs, like coke and ultimately heroin. What initially is perceived as a “pick me up” soon becomes a dependency and so the spiral begins. But what I loved about this book is that you were inside the head of Nicole, what Marni Mann delivered was an addicts reasoning’s and thought processes and for someone like me who was totally oblivious to anything surrounding this lifestyle it gave me an insight into why people tragically descend down this route. While I don’t condone in any shape or form what Nicole did, I finally appreciated the effects that drugs have on your ability to think straight, to make rational decisions and to actually see what was presented in front of the mirror. An addict didn’t see an addict. An addict only saw their next high, that short burst of relief from the troubles they carried. A temporary blindfold on their misery all the while it only being a smokescreen for the ingrained issues they had and ultimately, only making those issues increase tenfold by adding more issues on top of issues that were already there. Drug addiction is like a vortex, a force so powerful that you are forever caught up in its vicious cycle, a vortex that is desperately difficult to break out of. But the first step is recognising the addiction and more often than not it takes hitting rock bottom to see it. Some people get that rock bottom, others die before they get there, but it takes incredible strength and courage to fight and the fight is never over, this is made painfully clear throughout this duet. Nicole aka Cole, was a girl that had a great life ahead of her, she was a fantastic student, had a loving family and was living the teenage dream, until one night...one night that forever changed her and one night that ultimately led to her decline down the darkest routes of addiction. It is this one event that ultimately decimated her life and that of her family. Nicole was a victim, but the effects of that one night made her a victim for the next ten years. That one night made her friends and family victims in more ways than one. Her relocation to Boston was supposed to be a new start, a way to exorcise her demons, but Boston had demons of its own, only these demons had far more destructive consequences. This is the harrowing story of Nicole and I defy anyone not to be touched and totally consumed by her story. Nicole’s voice rang true, Marni Mann brought Nicole to life and I was soon consumed by her distressing, disturbing and horrifying experiences at the hands of heroin. A drug so powerful and all-consuming that life became a trick to get that next trip. The degrading situations she finds herself in are just one of the side effects together with demeaning herself daily just to get what she always perceived she needed more than food, clothes on her back and a roof over her head. The lengths to which friends and family will go to, to help, and then their desperate and heart breaking realisation that tough love is the only love. I can’t explain how touching and heart breaking this story was. I cried a river, not only for Nicole, but her brother, her mum and dad and her friends. Every possible emotion is evoked painfully word by word, situation by situation as Marni Mann viscerally portrays life as an addict. Even though I have no experience, I felt as if I was living in the drug havens of Boston. Every character was so real, I could see them, I could hear them and I could smell them. I was totally transported to the pits of hell and for someone as naïve as me it was a world that I never knew existed. It was eye opening, so realistic. Nicole does hit rock bottom and she is one of the ones that are lucky enough to survive the fall, but the climb back out is equally as painful. Book two concentrates on that climb, the pitfalls and the past that never leaves you alone. The consequences, both physical and mental and the after affects and devastation that addiction leaves behind. Nicole does find love, so there is an uplifting element, but a love that will always have the past in the background, a love filled with understanding and protective measures to avoid relapse. Nothing about this duet is pretty, it is raw, it is gritty it is so realistic. It just hurt so bad. I understand there is a YA version of this duet, I implore all parents to make their kids read it, it is enough to put them off for life. If one life is saved, then the research and experiences that this author penned onto paper would be worth it. These two books now complete my Marni Mann collection; I can now say I have read all her books. These two books were her first and as a debut I cannot relay how impressive and how well put together this duet was. The attention to details, the realism and the no holds barred ugliness really cements this as an unforgettable story. I am still distraught, I thought this review would be cathartic, but that pain shows no sign of abating. This story moved me, it touched me on so many levels, I will never forget Nicole, and when my kids are old enough to understand they will be reading this series too. I am so emotional right now.